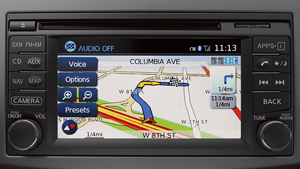 Today we’d like to share a video review of the 2015 Nissan Versa Note. 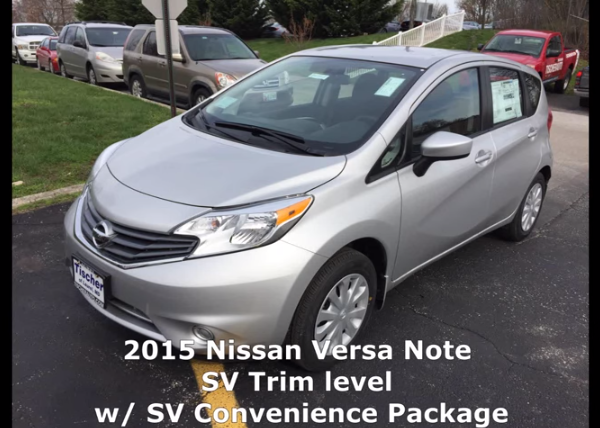 Our friend Shane, an avid car enthusiast, loves to create auto reviews and has conveniently created an overview of the 2015 Nissan Versa Note SV with the Convenience Package. 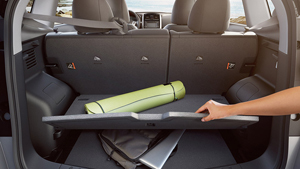 Watch as he points out the exterior and interior features of the vehicle and shows just how roomy a compact car like the Versa Note can handle his 6-foot-3 frame. 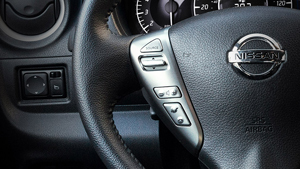 Shane’s overall impression of the 2015 Nissan Versa Note SV was that it was a smooth, quiet ride with good options in the Convenience Package and plenty of satisfactory features for this price range. This car would be excellent for commuters and travelers alike. Stay tuned for more review from Shane via our blog and his YouTube page, and if you like what you read and saw about the 2015 Nissan Versa Note SV we invite you to schedule a test drive. This entry was posted in Nissan News and tagged 2015 Nissan Versa Note, Nissan Versa Note review, Nissan Versa Note SV by Tischer Acura Nissan. Bookmark the permalink.